Bernard Kerik has a unique viewpoint from which to make recommendations about reforms in the criminal justice system. He served under Mayor Giuliani as New York City Police Commissioner and Department of Correction Commissioner, responsible for Rikers Island. And, in 2009 he went to prison on tax charges and for making false statements to authorities. He was released from a federal minimum security prison in Cumberland, MD last spring. 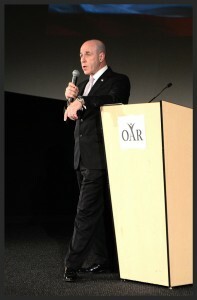 Kerik spoke to a full house at the Arlington Artisphere last Wednesday night, giving specific examples of how broken our country’s criminal justice system is. The forum was sponsored by Offender Aid and Restoration (OAR) and the George Mason University’s Center for Advancing Correctional Excellence. Kerik would put fewer people in prison. He suggested that the smarter way to fight crime is to provide alternative punishments for nonviolent and first-time offenders, as well as the elimination of the country’s mandatory minimum sentencing laws. “Think of the money that would be saved,” he said. Kerik is particularly critical of the minimum sentencing guidelines. Although the Supreme Court ruled in 2005 that these guidelines can no longer be mandatory, many judges still follow the guidelines carefully. The result is that too many people with non-violent crimes are serving too much time in prison, according to Kerik. “I was with men sentenced to ten years in prison for five grams of cocaine. That’s insane. That’s insane,” he said. Kerik praised the work of OAR in helping men and women return to the community and find new friends, employment and a new way of living. “With organizations like OAR to help, people are given a chance when they come home. Without this, there is little hope that those returning from prison can get a second chance at life. 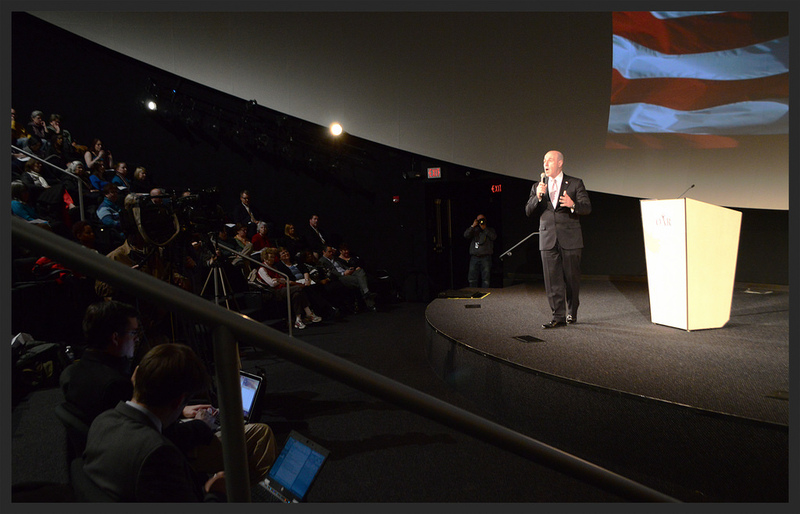 Kerik engaged the audience in an informative Q&A session, responding to questions about what the average citizen can do to get politicians to address these problems. Kerik admitted he does not have many answers, other than to write congressmen and women that the minimum sentencing guidelines need to go. Otto Girr, Vice President of Human Resources for Miller & Long Co., Inc., closed the evening with a brief testimony about what his company is doing to not only hire former offenders, but provide training and support services for them. “While it is hard for felons to find employment, it is not impossible, especially if those in business will take a chance and hire them,” he said. Stay informed about what is taking place in criminal justice and prison reform at www.facebook.com/OARJustice.